Mark Tranel, who had been serving as interim dean of the school for the current academic year, said in a brief interview he had little information to add to what was in Cope’s email. He said academic programs that were a part of the school will continue; and while Cope said the decision has been made to dissolve the school, he wasn’t sure of the exact timing. Tranel plans to retire in July. UMSL spokesman Bob Samples said the campus is trying to save $8.5 million this fiscal year, about 6 percent of its operating budget. 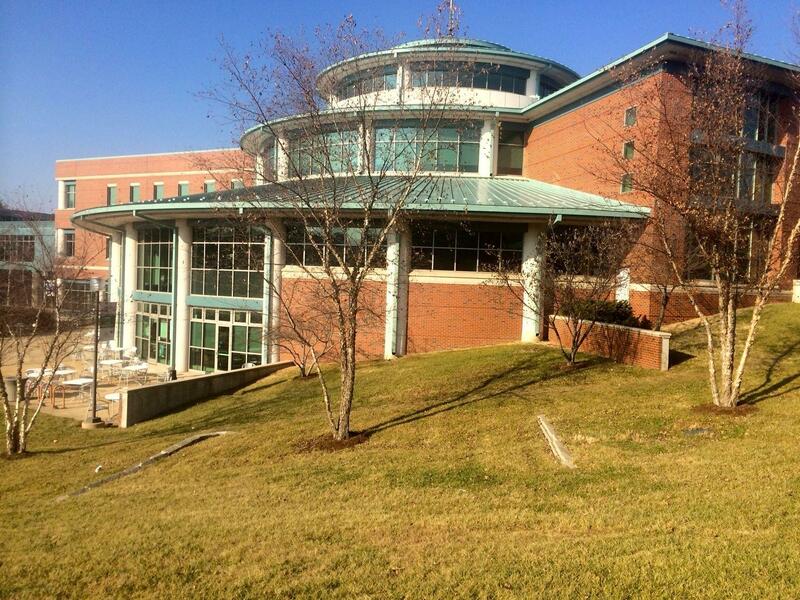 A year ago, when the campus imposed a hiring freeze, the shortfall was $2 million. Since that time, Samples said, it has grown because enrollment dropped about 4 percent but the students who did enroll were better than expected so UMSL had to pay out more in merit scholarships. "So we had a little less revenue and we gave out more money in scholarships," Samples said. "That created a further hardship on the budget." He noted that while the school itself will not be formed and a dean will not be hired, the programs involved remain. "The units are still there," Samples said, "and they're still reporting to where they reported before. They're just not being brought together under a dean. The dean would have been a new position, and we decided not to create that position." One of the two candidates to serve as permanent dean of the new school was political scientist Dave Robertson. He said in an interview that the school would have been an asset to the St. Louis area. "Our region, more than most others, urgently needs a diverse, skilled host of dedicated leaders," he said. "It’s sad that our campus, with its land grant mission, is unable to go forward with the vision of leadership and community building embodied in the School of Public Policy and Administration. "This initiative was needed to extend UMSL’s strong record of community engagement and service. Neither the need nor the idea will fade away. Lord knows, this is a community that's faced such rough times in recent months and years, that we really need that kind of engagement. That's our job." He added that the financial problems that UMSL is going through are likely to mean a fundamental shift in how the campus operates. "I think we're in uncertain territory," Robertson said, "about what kinds of things will have to be cut, what kinds of things will have to be delayed, and what kinds of things are going to have to be done to align the money we have with the expenditure commitments that we've got. The result is there's some uncertainty going forward about how we're going to handle the challenges that we face." But despite talk about a budget crunch, Robertson said the word from Cope still was unexpected. "It was a surprise to most people," he said. "It was actually a shock to many of us, especially those who had been engaged in this process, because there was so much heartfelt enthusiasm for this initiative among the people who were involved, beginning with our provost, Glen Cope." A statement issued by three students in the master's program in public policy administration -- Casey C. Whalen, Amber Mihelcic and Ericka Thomas -- called the decision "an unfortunate step backwards. "This news is disheartening, but we are confident in the ability of the UMSL MPPA students to use this experience as a learning tool for navigating and understanding the complexities of public service and institutions." In an email on June 30, addressed to colleagues and students, Cope said that the school was being formed based on recommendations from a task force she had appointed last year “to consider budget challenges” facing the campus. She said that the new School of Public Policy and Administration would be made up of UMSL’s public policy program plus its Center for Ethics in Public Life, Center for Excellence in Financial Counseling, the Public Policy Research Center and the Sue Shear Institute for Women in Public Life. “The School of Public Policy and Administration will be able to leverage its combined services to better train elected and appointed officials and civic, government and nonprofit public administrators,” Cope wrote. At the same time, Cope said the School of Professional and Continuing Education would be eliminated with its programs administered by various academic units. “This move is a difficult one,” she said, “but I am confident it will best serve the university in terms of long-term revenue generation and expense elimination. Vivian Eveloff, who heads the Sue Shear institute, said in an interview Monday that even though the school is being dissolved, the units that were going to be part of it may be able to work together more closely because of the planning that was done. Last December, UMSL announced it was imposing a hiring freeze because of financial problems prompted by a drop in enrollment for the spring semester. At the time, Chancellor Tom George said the drop was prompted at least in part by what he called “widespread anxiety about the region in general and north county in particular” in the wake of the fatal shooting of Michael Brown in August. Enrollment rebounded somewhat, both for last spring and for the current semester, but the hiring freeze has remained in place. Salary increases also have been held down or eliminated on campus. 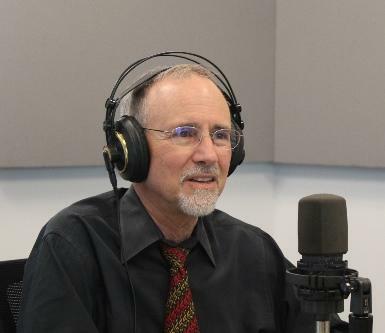 The University of Missouri's Board of Curators holds the license for St. Louis Public Radio. 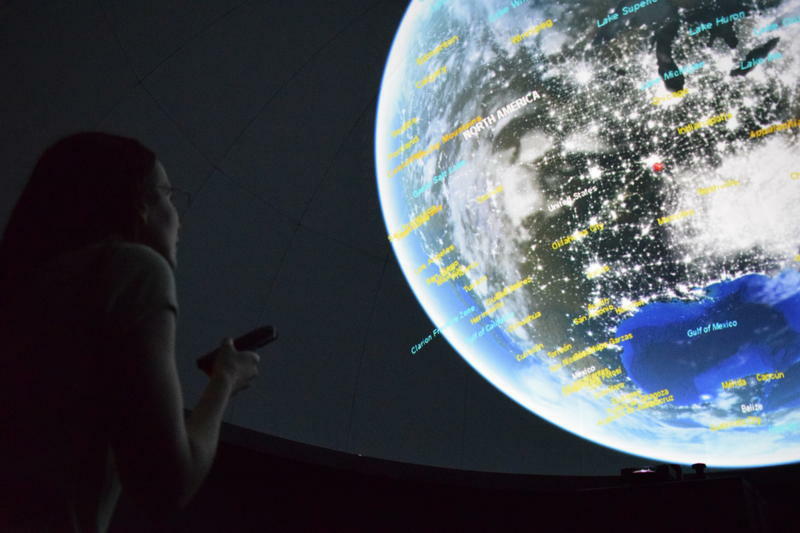 The University of Missouri-St. Louis is opening a newly renovated planetarium for students and the public. Astronomy professor Erika Gibb says the renovated facility is even a little more cutting edge than the Saint Louis Science Center’s planetarium, at least for now. Despite a 10 percent decline in state funding since 2010, the University of Missouri-St. Louis continues to excel in offering top-tier educational opportunities for its students, UMSL Chancellor Tom George says.